1. 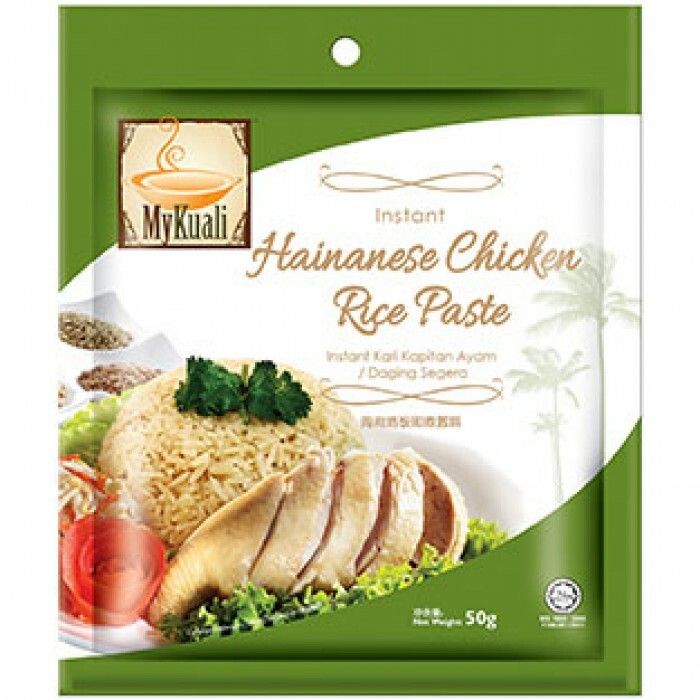 Mix "MyKuali Instant Hainanese Chicken Rice Paste", Thai fragrance rice and water in a rice cooker. 2. Stir well until all ingredients are even. Put to cook. 3. For best result, stir evenly when rice is cooked. Allow rice to sit in the cooker for 10 minutes before serving. 1. Poach chicken in boiling water under low heat for 20 minutes. 3. Chop chicken into pieces, top with light soya sauce and sesame oil. Serve with MyKuali Hainanese Chicken Rice.